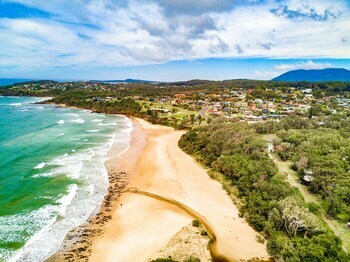 Flights To Port Macquarie - 2019 Cheapest Port Macquarie (KPS) Flights From AU$250! You’ve been saving for a brand-new smartphone, but your mobile plan will keep. You know what won’t? Your annual leave. Those precious days of freedom are ticking slowly towards their expiration date. Why would you want to live an entire year without dancing on a tabletop or getting as lost as Chris Columbus in another city? Tis barely a life at all! 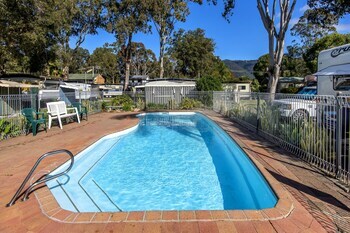 Sounds like it’s time to book one of the best deals on cheap Port Macquarie flights on lastminute.com.au. If you thought flights to Port Macquarie were out of the question, you haven’t seen the fares on lastminute.com.au. You might say our fares are so low you have to drop it like it’s hot to pick them up. And while that’s not exactly true, we wouldn’t judge you if you did it anyway. In any case, when you grab a huge discount on your flight, we’re happy to report that you’ll still have a healthy budget for spontaneous late-night purchases. You know, for when you really need to buy a fedora and oversized pretzel from some downtown street vendors at 1 a.m. (we’ve all been there). At lastminute.com.au, we make it easy to compare cheap flights to Port Macquarie from loads of different airlines. Once you find an itinerary that works for you, booking the flight is as easy as forgetting the bartender’s name after your third drink. There’s no reason to wait—start booking your ticket now, and you’ll be sitting on your suitcase to force it shut in no time (you can never pack too many trousers, we get it). Question : What is the cheapest flight to Port Macquarie? Answer : We offer plenty of flight options to Port Macquarie starting at AU$250. Lastminute.com.au understands that you're a curious cat, with some questions about your travel options. 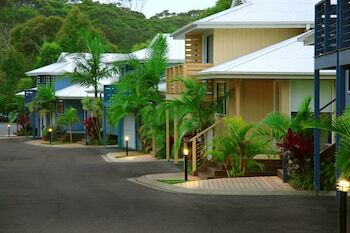 So we have some more helpful details about airport options, top hotels, and the most popular airlines flying to Port Macquarie. Check below to get excited about your trip! Question : What airlines fly to Port Macquarie the most? 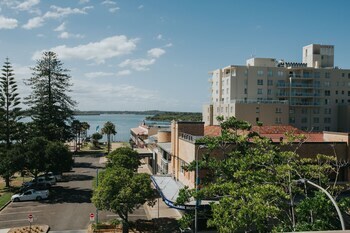 Answer : Each week we have flight options to Port Macquarie. Knowing which airlines offer the most flights per week can help you find the cheapest and most reliable airline options - who doesn't want that? Especially when you can score a cheap flight to Port Macquarie for just AU$250 right now! These are the airlines that have the most flights per week to Port Macquarie airports. Qantas has 79 flights per week between Melbourne and Port Macquarie. V Australia Airlines has 30 flights per week between Melbourne and Port Macquarie. Bangkok Airways has 13 flights per week between Adelaide and Port Macquarie. 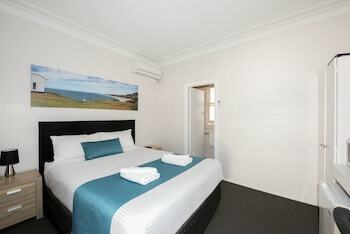 Question : What hotels should I stay at in Port Macquarie, and what are some great places to visit? 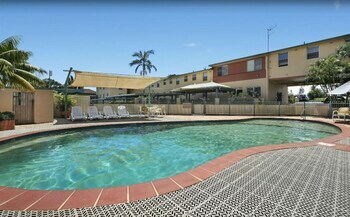 Rydges Port Macquarie is a 4.50 star hotel. 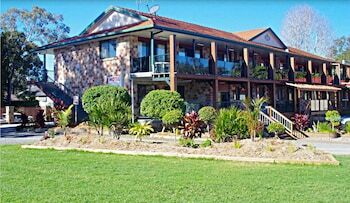 Situated on a river, this luxury hotel is steps from Glasshouse Cultural Centre and Port Macquarie Museum. 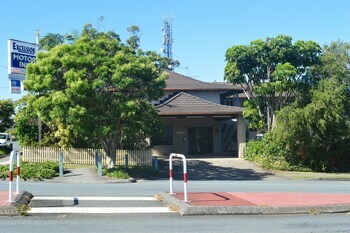 Port Macquarie Courthouse and Mid North Coast Maritime Museum Pilot Boat Shed are also within 5 minutes. 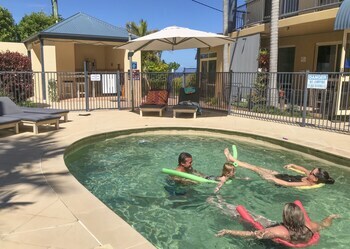 Flynns Beach Resort is a 4.00 star hotel. 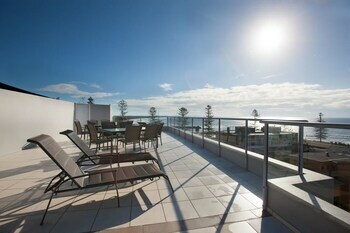 Situated near the beach, this apartment is within a 15-minute walk of Koala Hospital and Roto House. Macquarie Nature Reserve and Mid North Coast Maritime Museum are also within 1 mi (2 km). 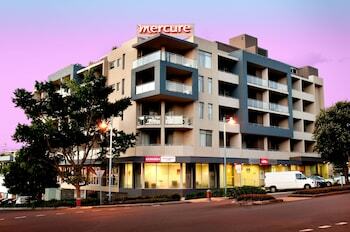 Question : What are the top deals on car rentals in Port Macquarie?